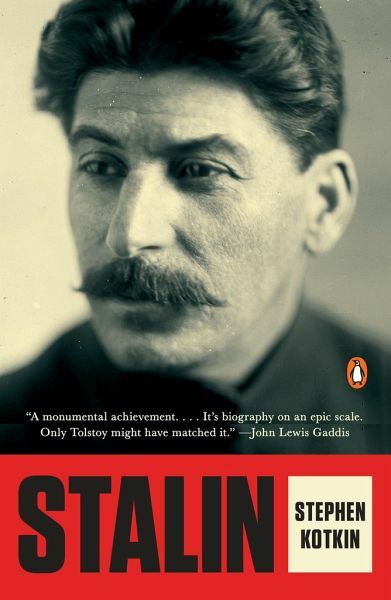 A magnificent new biography that revolutionizes our understanding of Stalin and his world The product of a decade of intrepid research, Stalin is a landmark achievement. Stephen Kotkin offers a biography that, at long last, is equal to this shrewd, sociopathic, charismatic dictator in all his dimensions. We see a man inclined to despotism who could be utterly charming; a pragmatic ideologue; a leader who obsessed over slights yet was a precocious geostrategic thinker-unique among Bolsheviks-and yet who made egregious strategic blunders. Through it all, we see Stalin's unflinching persistence, his sheer force of will-perhaps the ultimate key to understanding his indelible mark on history. Drawing on Kotkin's exhaustive study of Soviet archival materials as well as vast scholarly literature, Stalin recasts the way we think about the Soviet Union, revolution, dictatorship, the twentieth century, and indeed the art of history itself. Stephen Kotkin is the John P. Birkelund Professor in History and International Affairs at Princeton University, where he has taught since 1989. He is also a research fellow at the Hoover Institution at Stanford University. He directs Princeton's Russian, East European, and Eurasian Studies program and is the author of several books, including Uncivil Society, Armageddon Averted, and Magnetic Mountain.